Did you know that financial stress is a significant source of stress, worry, and anxiety? Did you know that if that worry is left unchecked then it can impact your physical and mental health? Did you know that worry, stress, and anxiety can lead to impulse purchases, overspending, and poor decisions about money? Sometimes in the journey of life, we find ourselves in situations where things seem really tough. Maybe it doesn’t seem like there is enough money to cover the bills; things are hard at the job; a life-altering change happens; or things are difficult with family. Whatever the case may be, these situations can test our faith and even lead to worry, anxiety, or depression. If you don't learn how to deal with the emotions that arise out of challenges and adversity, then your financial health could get impacted if the stress and worry impacts your ability to make solid money decisions. Jesus doesn’t want you to worry or stress. He wants you to trust in him and trust the promises he made to his believers. This 21-Day Faith Guide is a free email series that will be delivered to your inbox over the next 21 days. This guide will help you to learn what the Bible says about liberating yourself from these negative emotions. Each day you will receive the verse of the day, God's promise in that verse, and how we can use this message to let go of the sleepless nights, fear, worry, and stress in our lives. Use this guide to help you to trust God's promises to you. Finally, cast your worries on the Lord. This also gets you access to the FNPhenomenal newsletter. Success! 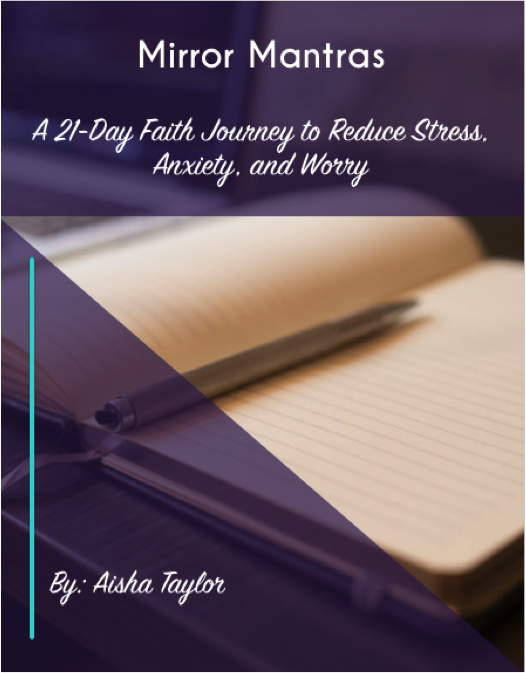 Now check your email to confirm your request to join the 21-day journey to increase your faith and reduce worry, anxiety, and stress.